I thought I was going to implode all week not being able to write about this product! I didn’t want to write about it until I had tested it for a full two weeks, in multiple situations. This is it friends, this is the product I have been dreaming about. It’s magic, for once truth in advertising from a beauty company–how novel? I am going to go over all the pros and cons, but I think I may need to explain first that this product comes out of the tube a grey/white color and once applied to the skin will develop to match your skintone. 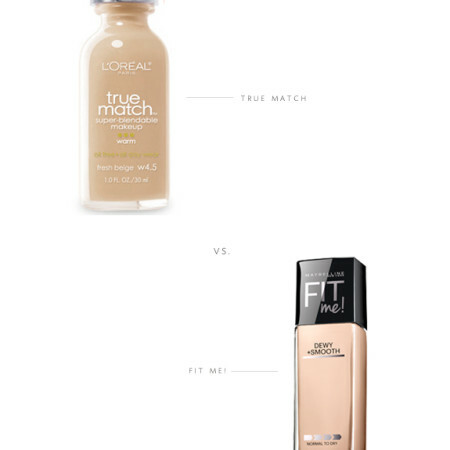 I have tried a few of these color matching products and did not have the same results. The Josie Maran is very expensive, the pump breaks after a few uses making it impossible to use, the consistency is odd; it goes on oily and then dries to an extreme matte, which is not my thing, the color is nice though. Almay’s was horrible (granted it’s not a BB cream), color, consistency, finish–don’t bother. Dr. Brandt has one that develops into a shade too dark for your skintone (could be good for summer), again very expensive. The L’Oreal Magic BB? If I could afford it I would buy every one of you a tube so you could try for yourself, that’s how impressed I am with this product. If I could afford it I would buy every one of you a tube so you could try for yourself, that’s how impressed I am with this product. Okay, so some details, I have dry skin, this is supposed to be great for individuals with oily to combination skin. For dry skin you will need to use moisturizer first, since this doesn’t have a sunscreen (a con for a BB cream), you may want to use something with an SPF in it. The finish is matte, I usually prefer a more dewy finish, but I use the Tarte cheek stains and they add that sheen/glow that I like. The no SPF is really my only con (and the not so pretty packaging). The pro list is much longer and includes: the price-for under $8 it’s completely budget friendly. 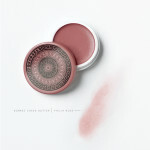 The consistency, it’s super light, but not too ‘liquid-y’ that you will make a mess everywhere (like the Josie Maran). It’s pretty goof proof, the color is seamless, so there’s absolutely no color differentiation from jawline to neck. Did I mention it’s light? It is. You won’t feel like you are wearing anything, nor will you look like you are either. How is the coverage? It’s completely buildable so you start light and add where you need more (for me it’s the hyper-pigmentation on my cheeks). It doesn’t settle into creases, which is perfect for me, I have major laugh lines around my eyes, I have always had them I laugh a lot and am not going to stop for a wrinkle free visage. The tube is nice and compact and the tip is very narrow which really assists in keeping your hand light when you are applying. It doesn’t rub off as easily as a traditional foundation or even a BB cream. What have I forgotten? Did I mention it makes you look like your pores are non-existent? It doesn’t feel like you are wearing anything and now there’s no excuse to ever walk out of the house looking like this. P.S. If you do use moisturizer make sure it ‘soaks’ in first. I usually put it on (here’s my fave) and then make my coffee or walk my girls, which give it enough time to not be sitting wet on my face. Miss Tristan B. is the proprietress of Besotted Brand and the writer of this delightful blog. She feels like she has finally found her complexion nirvana. I’ve been using this for almost a month now and i can only stick to your words. This is it , this is the product I have been dreaming about. I bought it while I was on vacation in Barcelona – silly part of me left my cosmetic bag at home. thousands km away, so I had to buy smth to look at least fresh and not to scare people :) And this was IT. And it really does magic. 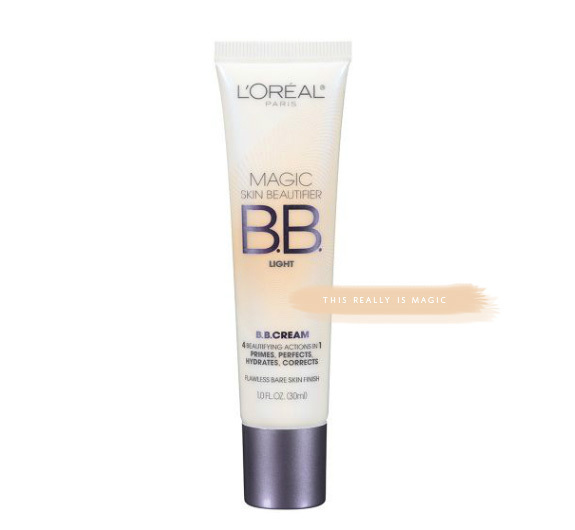 What I like the most about The L’Oreal Magic BB, that it is light and smooth, hide some imperfections and make your face feel fresh all day. Yep, this is it. Egle, yes! I am so happy you have tried it. It’s the closest to just ‘clean’ skin that I have ever gotten and I love that it doesn’t feel like I am wearing anything (I hate that feeling of knowing you have product on). Ah! So excited. I’m going to buy it today! Thanks so much for the review. Koseli, let me know what you think! And thank you for the compliment on the beauty posts, I show them to my husband so he stops complaining whenever I comeback from Sephora or Ulta with another product to try, lol. thanks for sharing your beauty secrets! i’m making a bee line straight to target. i think it will be perfect for my “no makeup-makeup” look. except, whats the deal with the no sunscreen thing? btw, someone mentioned to me that you should not wear sunscreen when taking photos with a flash? have you heard this before? Hi Maybelle! I hope you love it too! I agree it’s odd not to have SPF as all the others BB’s do (it’s part of the idea of wrapping it all into one product). I would NOT get my photo taken with flash if I could help it–nope;) Not a lot of photographers know how to use their flash properly to mimic natural light which makes for very unflattering images (I need ALL the help I can get!) Beautiful, diffused natural light or back lit would be my first choice and also film portraits with the Kodak Portra or Fuji 400h which make skin PERFECT, poreless and creamy (you have to visit Jose Villa’s site to see what I mean), but you look beautiful in all your photos so I don’t think you have to worry! I’m so glad to have read this I’m going to give it a try. I have been using Dr. Jart+ BB and while I like it, this would be less expensive. I, like you do prefer more of a dewey finish. I’d love to look into the tarte cheek color. I have not tried it. So it does give a great finish? Do you have a favorite shade? Thanks so much!!! Audra, just make sure your skin is nice and hydrated prior to use because it is a matte finish, but not ‘masky’ matte, which is not pretty. Just remember to start off with less and build, this is where I think most beuatiful mess up on their application of products (I learned this from working with professional make-up artists). I LOVE the Tarte cheek stains! 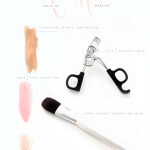 I use a foundation brush to apply (bought mine at Target-Sonia Kushak) to keep it nice and even looking. Colors depend on time of year, right now I am super pale with blue undertones so I have been using flush, the colors look very pigmented in the tube but are sheer when applied. In the summer I prefer the peachier tints like ‘tipsy’ and I tried the new ‘awakening’ at Sephora and it’s a very pretty color on. These last forever so I can’t justify buying another one (yet). Go to a shop that you can try them on. The color also lasts a long time. P.S. I haven’t tried the Dr. Jaart but have heard good things about it, this formulation though is very different from any BB cream I have tried, I think you will be pleasantly surprised! This is awesome. I just ran out of my regular foundation. Good excuse to try something new. I always feel like there’s something better out there that I just haven’t found yet. Oh Katie, I SO know what you mean! Oh, thank you! I’ve been trying out drugstore BB creams for a bit now, with mixed results: the Garnier one was the right color for my über-light skin, but I hated the consistency (too thick/oily for my skin), and I love the consistency of the Nivea one, but its “Light” version is noticeably too dark for my skin. I’d been reluctant to try this one, in part because of its lack of SPF (but I could wear my SPF under it? it wouldn’t be redundant, since BB creams are supposed to be moisturizers, too? ), and the fact that it’s in the make-up aisle at my drugstore and not the skincare one … I’m a pretty major make-up-phobe. But I’m going to try it out — thanks for giving me the push! Yes, the Garnier can be a bit much, my friend hates the smell and I like it but it can rub off if you aren’t careful. I have dry skin so I always wear a moisturizer under my BB creams. I don’t think this would add much moisture anyway so I think a SPF is fine (just let it soak in first). I am sure they will make it with a SPF in the future. The color match is imperceptible, never tried anything like it (I use the light, they have medium and deep as well). 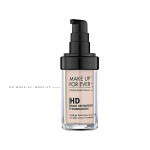 This won’t have any noticeable make-up feel, it’s that light but still has nice coverage! Let me know what you think! I have been looking for an alternative to the expensive Dr. Jardt. Your beauty recommendations are always right on the mark for me, so I am going to try this! I was not sure whether to buy the fair or the light, so I am going to try both and keep the one that works. Jennifer, I am very happy with this product, remember start off light and build (always). Most drugstores (where I bought mine) will let you return a color if it doesn’t work. To be honest though I bought the Light and then tried it on my husband who is MUCH darker than me and it matched his skin really well so I feel like either one should match well. It’s $7 too! Such a deal for the results. I will admit…I kind of panicked when I used this today and what came out of the tube was mostly white with little grains of color, but I remembered what you said and started off light and built. I used the “Fair” because I tried a bit of both on my neck and the “Light” seemed a shade too dark for me. I could see it even after I had blended, but the Fair blended right in and I think I like it. I’ll try it for a while longer to know for sure. Thanks for another good recommendation! Jennifer it’s interesting for sure, I may have been more gun shy if I hadn’t tried the Josie Maran prior. I would have never tried the Josie Maran on my own but a make-up artist recommended I try and I loved the idea of the chameleon pigment, the finish just didn’t work for me. Take the Fair back to the store, they should refund without incident:) I like how light this product is so it doesn’t feel like I am wearing make-up, even with the other BB creams there is that initial ‘lotion’ feel, which is not as bad as a foundation feel. I think I may be one of those people that are sensitive to the way products wear on my skin; my cousin slaps on the foundation and has no problem, she does a great job, but I would be aware of all the make-up on my face all day and wouldn’t last. Thanks for the update! i also bought this lovely bb cream upon your recommendation (um, the next day i think? i’d been looking for something new and good) and i absolutely LOVE it. so thank you! i guess i’ll need to try that pretty urban decay blush next. any other good recommendations? oh, duh. i just looked at your beauty features. you made blogging glance easy. The total look of your site is excellent, let alone the content! Agree with this review 1,000% I use all kinds of makeup, beauty stuff — pricey, not so pricey from YSL and Dior to Nivea. This stuff is the BEST! Goes on beautifully, very light/pretty coverage. Only wish they made it with some SPF. Hopefully — coming soon. I agree it needs an SPF! I tried and liked the Garnier, but the smell is SO strong, but that was before I knew about other products that I like much better!